Here at the Cable Dahmer Auto Group, we work hard to connect ordinary drivers with vehicles they'll love for years. For this reason, the new models priced under $20k on our lots are some of our favorite models to sell! When you take advantage of our new vehicle specials, you won't have to break your budget or settle for a lackluster used vehicle in order to drive home satisfied, and we think that's something to celebrate. Contact the Cable Dahmer Auto Group today to get behind the wheel of one of these affordable new cars. 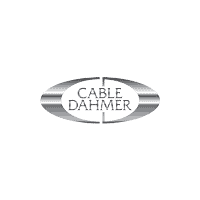 Why Buy a New Vehicle from the Cable Dahmer Auto Group? The new vehicles priced under $20k at our dealership are certainly affordable, but they're anything but cheap. We only stock the finest new vehicles from makes like Chevrolet, Buick, and Kia, and we'll work hand-in-hand to help you find a model that offers all the features you desire. Browse our extensive inventory before heading over to one of our four locations across the region, and don't hesitate to reach out with questions. If you're looking for a full-size SUV with powerful towing capabilities like the Buick Enclave, or a rugged pickup truck like the Chevy Silverado to take to your jobsite, we have you covered! And we can't wait to see you behind the wheel.